US prosecutors reckon Park Jin Hyok – a suspected Sony Pictures and WannaCry hacker living in Kim Jong Un’s hermit nation – built and managed the Joanap botnet, a globe-spanning network of commandeered systems, and used it to launch further cyber-attacks on various targets. Here’s how systems were infected and press-ganged into the botnet, which has been running since 2009, as alleged: first, the Brambul malware, which is a Server Message Block (SMB) worm, infects public-facing boxes, and those on internal networks, via their Windows file-sharing services. It typically brute-forces its way into systems by guessing the necessary password from a list of common passphrases. Once Brambul is in, it runs the Joanap software nasty, which press-gang the computer into joining the botnet run by its operators, we’re told. Joanap effectively opens a backdoor, allowing the infected computer to be remotely controlled by its masterminds. This approach is necessary, we’re told, due to the peer-to-peer nature of the Joanap botnet’s communications channels. Devices infected by the malware exchange between themselves so-called peer lists of IP addresses of other infected machines, allowing an ad-hoc network to form. Rather than seizing one or two central command-and-control servers, agents had to therefore add their own systems, masquerading as hijacked devices, to the network, allowing them to observe it by requesting peer lists from hijacked nodes. Interestingly, the g-men had to extend a previous 30-day warrant, granted earlier in 2018, by an extra 30 days due to a bug in their code: the FBI’s machines accidentally told other nodes in the botnet that they were behind a firewall and should be ignored as inaccessible, when really they were accessible. That hampered the Feds’ operation, forcing agents to fix the bug in September and go back to the court to ask for an extension in October. Essentially, their code that pretended to act as the botnet malware would, as well as request lists, send its own peer list to infected nodes that would contain the IP addresses of the FBI’s servers. These lists would propagate through the peer-to-peer network, causing more infected machines to contact the FBI’s boxes, and thus help agents build up a bigger picture of the scale of the botnet. The aforementioned bug prevented other nodes from accepting the FBI’s list. The Feds claim they were able to disrupt the botnet, but did not specifically explain how. Presumably, they used the IP addresses in the exchanged peer lists to locate the owners of infected machines and tell them they had been pwned, so the malware could be scrubbed off the boxes, thus reducing the size of the network. News of the covert operation comes just one day after America’s head of national intelligence warned that North Korea was among the nations looking to target US government and private sector companies with cyberattacks. 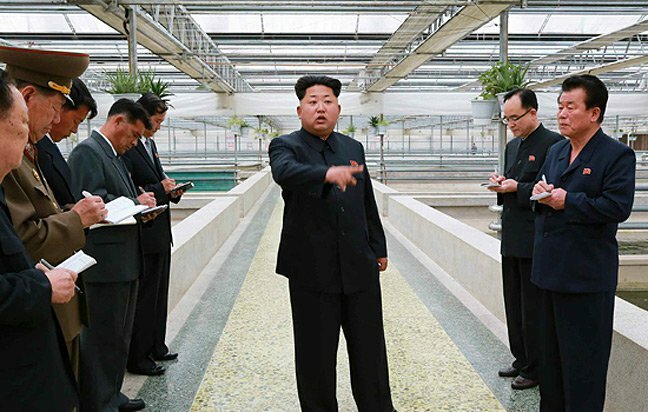 Unlike other nations that seek primarily to gather government and corporate intelligence information, North Korea has sought to use malware and cyber-attacks as a fundraising effort, focusing its efforts on banks and other targets that can be used to fill the isolated authoritarian regime’s coffers.